Choral improvisation and collective choral composing – the first question that comes to mind in connection with these expressions is how it is at all possible to produce spontaneous music with a whole group of singers, even large masses. 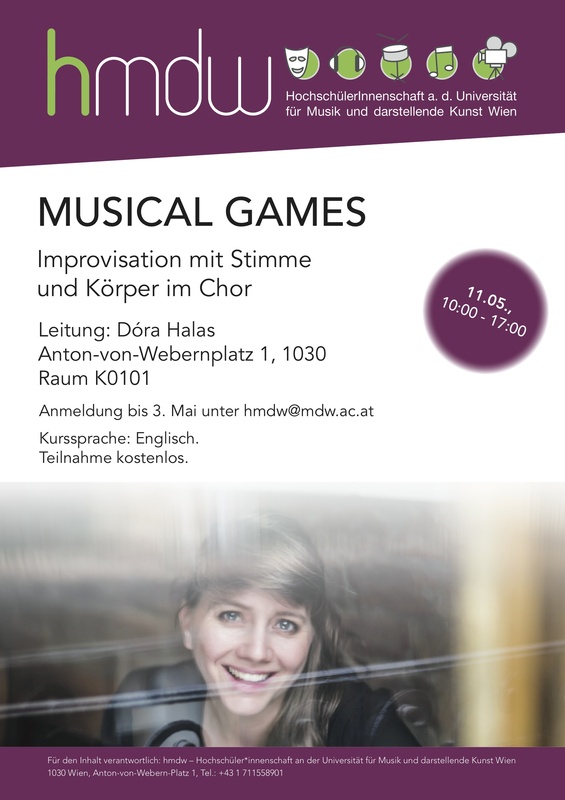 This workshop offers different recipes for such activities: musical games that allow participants to piece together the fundamental elements of singing, vocal and body sounds to produce musical moments that surprise both the performer and the audience. Music composing is a serious thing, but if you do it with a group a people, then it all becomes just a huge game for everyone. Dóra Halas plays together with the participants spontaneously, trying to open up their perception of music in general and to free their body and way of singing. The games can be used as simple exercises in the different fields of music – pedagogy, therapy, performance – for development of creativity, listening, concentration, collective sound, stage presence, collaboration with the other members and so on, but can also be further elaborated to form actual concert material. Dr. Dóra Halas is a music conductor and collective choral composer, who works with ensembles, choirs and theatre companies to produce brand new music for each performance. She uses and deconstructs already existing music from around the world, writes her own minimalistic compositions, but most of all embraces the ideas and concepts coming from the group members themselves through her own methods of collective brainstorming, improvisation and musical construction.